Like Chilli? Love Chilli? 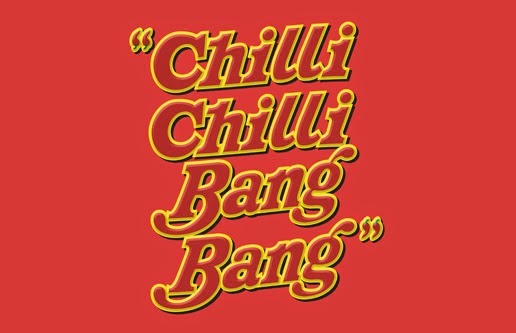 Then you need #ChilliChilliBangBang, a two day, 3 session festival of all things high up on the Scoville Scale, and organised by the good people of Tweat Up, on Friday 9th and Saturday 10th May. Lots to do, including demos from lots of such stars as Thomasina Miers, Gizzi Erskine, Tim Anderson, Tom Parker Bowles, Allegra McEvedy, and Andy Bates, plus food from Wahaca, Rola Wala,Roti Chai, Nanban, Yum Bun, SmokeStak, and B.O.B.’s Lobster, plus DJs, and cocktails. You gotta be there. Tickets cost £15, and go on sale at noon on Wednesday 9th April. "#ChilliChilliBangBang is a brand new epic urban eating and drinking festival celebrating the heat, fun and flavour of one of the world’s best loved ingredients - the MIGHTY chilli pepper. Over 09/10 May 2014 #DalstonYard will become the Chilli Capital of the World. We’re teaming up with Wahaca co-founder and chilli nut Thomasina Miers to bring you lively demos from the UK’s most hot-headed chefs, fiery street food from all four corners of the globe, a Spice Market featuring lots of delicious take home goodies, a Hot Sauce Deli, DJs, live entertainment and a barrage of Jose Cuervo chilli tequila cocktails. Learn how to knock up Sichuan Chilli Crab, Smoky Chipotle Salsa and Korean Fried Chicken at the Crate Stage from a long list of your favourite chilli-loving chefs, including Thomasina Miers, Giorgio Locatelli, Anna Hansen, Gizzi Erskine, Atul Kochhar, Stevie Parle, Jeremy Lee, Sam Clark, Tim Anderson, Martin Morales, Tom Parker Bowles, Allegra McEvedy, Andy Bates and Claire Ptak. Plus there’ll be plenty to eat from every cuisine known for its delicious, tangy, piquant fare. There’s Mexican from Wahaca and Tommi’s DF Diner, Indian from Rola Wala and Roti Chai, Sichuanese from Bar Shu, Thai from Som Saa, Japanese from Nanban and Yum Bun, Egyptian from Koshari Street plus pepped up American ‘cue and US diner staples from SmokeStak, B.O.B.’s Lobster and Slider Bar. And award-winning chilli chocolate treats from Rococo."